Do you feel unable to succeed in accomplishing your goals? Have you been knocked back so many times that you’ve lost your confidence and lost the will to keep trying? Don’t stop. Never give up. You are perfect just as you are. I saw that you were perfect and so I loved you. Then I saw that you were not perfect and I loved you even more. You can harness the power of positive thinking to overcome the particular self-destructive demons—the entrenched thoughts and beliefs—which are preventing you from fulfilling your life’s destiny. You have all the skills and abilities to live up to your highest potential. I release all worry and doubt. I have absolute trust and faith in myself. I proceed calmly and confidently one step at a time towards my goals. I am success. I am abundantly able to succeed in every effort that I truthfully designate. Step by step, day by day, I am better in every way. In 2012, researchers in Japan conducted a study of 54 university students. The students were divided into two groups: an experimental group instructed to do a daily 10-minute Buddhist-based meditation at home, and a control group, which did not meditate. All participants were assessed through questionnaires before and after the experiment to determine their sense of coherence (a view that recognises the world as meaningful and predictable), self-esteem, and purpose in life. The duration of the experiment was one month. At the end of that month there were marked differences between the two groups. The meditators showed significant increases across all measured parameters; the non-meditators did not. The students who meditated had a greater sense of coherence, meaning they felt their lives made sense and that life challenges were worthy of commitment, even in light of stress and out-of-balance lifestyles. Their self-esteem had improved and their life purpose was clearer. The experiment indicated that just 10 minutes a day of meditation benefitted these students and helped them to clarify their unique life purpose. We’re each here for a reason. Just a few minutes a day for meditation and for affirmations can change your life by bringing you into alignment with your deepest calling. It simply requires regularity and a positive intent. Go for it! After our walk yesterday on and near Honeymoon Valley Road in Peria we stopped at the Bush Fairy Dairy for coffee and hot chocolate (which were excellent by the way). There we bumped into Martin, who is contracted to trap predators in the landcare trust area where we had been walking. He explained that the last count he made there indicated 45 kiwi. This is not a complete population but gives an indication of a relatively high density of birds, which is great. Martin had just returned from a day out monitoring kiwi on Mahinepua Peninsula, a place we visited in May. The photos here are from that walk in April. But please watch the video made by WWF which includes Martin holding kiwi. Martin enthusiastically shared a little of his knowledge regarding New Zealand’s national bird. The link to the YouTube clip is here. Kiwi are remarkable birds, being nocturnal burrow dwellers. Their egg size to adult size is the largest of any bird and the males incubate. All in all, these endangered birds are quirky and worth all the effort people make to protect them. The follwing photos were taken at Mahinepua in May. We fear that this moment will end, that we won’t get what we need, that we will lose what we love, or that we will not be safe. Often, our biggest fear is the knowledge that one day our bodies will cease functioning. So even when we are surrounded by all the conditions for happiness, our joy is not complete. Fear can be defined as the gap between our projected expectations of a ‘negative’ future outcome and of our perceived ability to handle that outcome. Fear is always of the unknown. We fear death unless we’ve experienced it. There are many, many people in this world who have done just that. They have died and then, often through superb medical intervention, they have returned to live again. These people no longer fear death, they remember it and they embrace it. They may live life fully, but they also pleasantly anticipate the time when they will leave this world and the life they are living now. In a sense we can say that fear is forgetting and love is remembering. If a person fears cats, one way to overcome this fear is to get a kitten. As they raise this small creature they come to know it and to love it. When it grows to be an adult cat they no longer fear that which they earlier did. The formerly fearful person has become intimately familiar with that which they earlier feared. They have transformed fear into love. Surfers daring to ride huge waves don’t begin with waves of such magnitude. They begin on baby waves and in time build familiarity with waves of increasing size and strength. We know we have mastered the fear of something when we can truly embrace it. The person who formerly feared the feline is now able to love and cuddle their cat. In the case of the surfer, he or she learns to metaphorically embrace the water and become one with the wave. Similarly, as we become more familiar with illness we learn to fear it less. Illness loses its grip on us and we learn to embrace it as an opportunity to learn about ourselves. We can use illness as a vehicle to transport us to a place where we understand that part of us – our thoughts, emotions, actions and/or the environment – which has created it. In understanding its creation, we can re-create it; we can heal it. My wish is that you will learn to see illness as the great opportunity that it is, as a clarion call to slow down and dive deep within; to be introspective and to gain understanding of yourself. Then illness, like everything and everyone in your life, becomes something to be embraced – as a teacher and a friend. My wish is that you will learn to trust in the body’s innate ability to heal and regenerate itself when you give it the appropriate conditions to do so. In becoming liberated from our own fears of illness, our very presence automatically liberates those around us. That which you learn and personally apply toward your own wellbeing automatically positively influences those around you. In embodying your new understanding of health and wellbeing you will simultaneously help your children and your parents, your colleagues and your friends. Pain, as we all know, is not to be denied. It is insistent. It is calling for our attention. Heed the call. Pain has a purpose. It has a message. It is telling us, insistently, that something needs to be changed. It could be your diet, your lifestyle, your job, your relationship, your state of mind . . . . Ignore pain at your peril. The result will be more pain. Why? Because pain is your body’s way of getting your attention. Sure, you can mask pain with pain killers. But pain killers will not address the underlying reasons behind the pain. Did you know that the Navajo have no word for pain? I wonder what this means? So listen to your pain. Investigate it. Give it the attention it is asking for. Discover what needs to be changed, change it and the pain will disappear. With acute pain this can be almost immediate. With chronic pain, the complete cessation of pain may take some time. The habits of mind and body that led to the pain have been in place for some time so it may take considerable time to make the necessary adjustments the body is asking for. There is a book I read years ago titled, Your Body Never Lies. Its overarching message was simple. The body is an outward manifestation of the thoughts, emotions and expectations that we carry within us. We have, in other words, created a physical state which reflects precisely our inner state of spirit/mind/emotion over a period of time. If the results are less than what you would like, try changing the messages you are sending your body through your thoughts, emotions and beliefs. Dr. Bruce Lipton writes in The Biology of Belief that we are not the victims of our genes. Dr Lipton and other progressive-thinking scientists such as Rupert Sheldrake are paving the way with their investigations and writings for a revolution in human consciousness. They are showing us through science what the mystics have been telling us since time immemorial: We are far more powerful than we think we are. We are unlimited in our ability to heal. We are not the sum total of our DNA. We can in fact change our DNA by the deliberate adjustment of our beliefs and expectations. I injured one of my shoulders last summer while tramping. The ground gave way near a river bank and I managed to arrest my fall by grabbing a tree with my left hand. I twisted my left shoulder badly. Over time pain crept in and eventually both shoulders hurt so much that my sleep was disturbed. I couldn’t lie on either side without pain. I began research through books and via the internet. I used anti-inflammatory herbs such as boswellia, liquorice, ashwaganda, turmeric, nettles, gingko, horsetail and my old standby, kumarahou. I applied tupakihi (tutu) and other oils to my shoulders. I completely eliminated the nightshade family from my diet. This was a big ask for someone who absolutely loves tomatoes. I began using tapping several times a day. This was a new technique for me. It involved setting a healing statement and then identifying underlying thoughts and expectations while gently tapping a prescribed set of points. I also began to use yoga nidra (a form of deep relaxation) in earnest. One morning, while in deep relaxation I suddenly realised why the pain which began from an injury to one shoulder was now manifest in both shoulders. There are heavy sliding security doors at Te Ahu which, over time, had become stiff and increasingly difficult to move. I had been helping to open and close these, to help my female colleagues. The morning of my sudden realisation I queried the three other people who regularly operated these security doors. It turned out that all of them had injuries to arms or shoulders of some kind. One had already missed work because of this. I immediately reported my findings and, just as quickly, our Council health and safety specialist took it on board. The security doors are now repaired. The moment I came to the realisation that this was one of the causes of the, by now, chronic pain in both shoulders, I experienced a marked lessening of pain. It was almost as though the moment I shifted the focus on healing from ‘I’ to ‘we’ the ‘I’ in illness became the ‘we’ in wellness. Some pain persisted. I continued with my herbal regime yet pain, now less, remained. I became somewhat frustrated. I am not accustomed to things taking so long to heal. I began to have doubts that this pain would ever go away. Then, while tapping, I had an ‘aha’ moment. In a moment of insight I understood what was stopping the final and complete healing of the pain. Me. I was stopping it. I had lost faith in the body’s innate ability to heal. I thought about what happens when I cut my skin while working in the garden. There is never any doubt that the cut would heal. I had developed doubts that my shoulders would ever heal. I came up with a slogan: If you can feel it, you can heal it. This was the beginning of the final stage of healing. Healing is not linear. It sometimes stagnates and at other times it jumps to a new level. Each jump is a reflection of an inner change and expectation. First, I listened to the pain by doing research and then by applying my findings. This was the beginning of the healing process. But I didn’t experience significant healing until I took steps to have the security doors repaired. This not only helped me. It helped everyone who opened and closed those doors. Clearly, some of my pain was telling me to fix those doors. The complete healing took place when I suddenly became aware that my underlying expectations of healing were flawed. I had doubts and these needed to deeply change. This was the beginning of the end of pain. What a relief and what a journey. Pain has a reason. It also has a season. Heed the message. Heal the pain. I hope I’ve inspired you to begin your journey of healing. It’s very important that we re-learn the art of resting and relaxing. Not only does it help prevent the onset of many illnesses that develop through chronic tension and worrying; it allows us to clear our minds, focus, and find creative solutions to problems. I began napping when I first started work after university. I still do so whenever it fits. I am in illustrious company. JFK, Winston Churchill, Thomas Edison, Napoleon and Johannes Brahms are just a few of the brilliant minds throughout history who have practised and advocated the positive benefits of a daily nap. Whole nations—think of the siesta—follow this practice. Sleep experts and researchers all agree that a ‘power nap’ of between 10 and 30 minutes reduces stress and leaves you more patient, rested and better able to learn and work efficiently. Napping can increase your overall health and give your immune system a boost. My experience is that I often gain clarity and receive intuitive insights upon waking from short ‘power naps’. I definitely feel more rested and ready to tackle the next challenges in the day with positivity and humour. 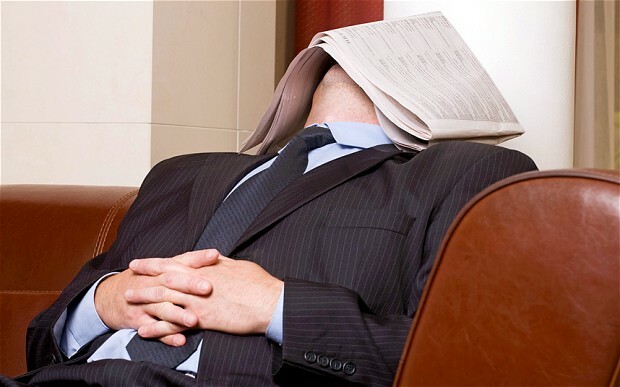 Evidence shows that regular napping can enhance health, productivity and creativity. So why not develop a regular habit of taking a nap in the middle of the day? Even a 10-minute nap can profoundly and positively change how you feel. Some people never lose the napping habit. But for most it is something not done since childhood. For many, napping has had a negative connotation. 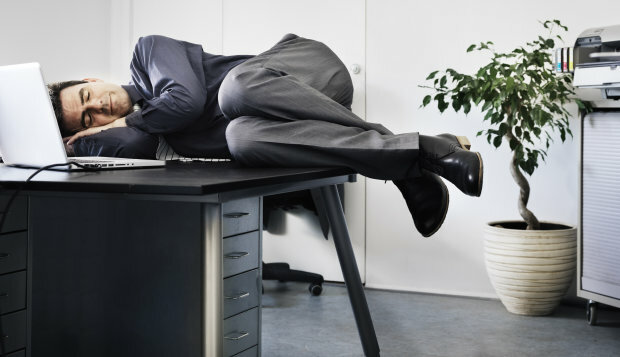 You know the expression ‘Sleeping on the job.’ But today businesses around the world are instituting an employee ‘nap time’ break and some even supply a designated work nap space. Marketing-software company, HubSpot, has a nap room featuring a hammock suspended above plush carpet and soothing cloud-covered walls to encourage its 750 employees to nap at work. CMO Mike Volpe, known to use the nap room frequently, says a 20-minute nap is often all he needs to regain focus and re-energize to be more productive for the rest of the day. The power nap. Not a posture I would choose. Offering employees a space to catch a mid-day siesta is now becoming a common amenity for companies looking to position themselves as progressive, dynamic places to work. One recent study showed a power nap is more effective than caffeine. Other research from the National Sleep Foundation found that nearly half of Americans say insufficient sleep detrimentally affects their daily activities. The implications extend beyond health. Lack of sleep costs U.S. companies a whopping $63 billion in lost productivity, according to a September 2011 study from the Journal of Sleep. Napping can reduce anxiety and depression by minimizing your levels of cortisol, which is a hormone that elevates your blood sugar. Obviously, the best way to maintain your health and work ethic is to get enough sleep each night. But the next time you are feeling that early afternoon flagging sensation, rather than reaching for a caffeine fix, take a nap. You just might make it a regular habit. We will be more successful in all our endeavours if we can let go of the habit of running all the time, and take little pauses to relax and re-centre ourselves. And we’ll also have a lot more joy in living.